As a foodie, trying out new restaurants is exhilarating - a new adventure to excite my taste buds. In the last few years, food presentation has become almost as important as what the food tastes like. So, when I saw this aesthetically-pleasing spot pop up in town, I instantly knew I had to visit. Let me take you on a culinary journey to Lulu’s Cafe. Immediately, you feel like you’re out of Newcastle and on the shores of somewhere like Bali or Fiji, surrounded by pink pastel (millennial pink, anyone?) walls. Phone out, Instagram ready….and SNAP! Aesthetically, Lulu’s ticks all the boxes and that’s before we even get to the food. 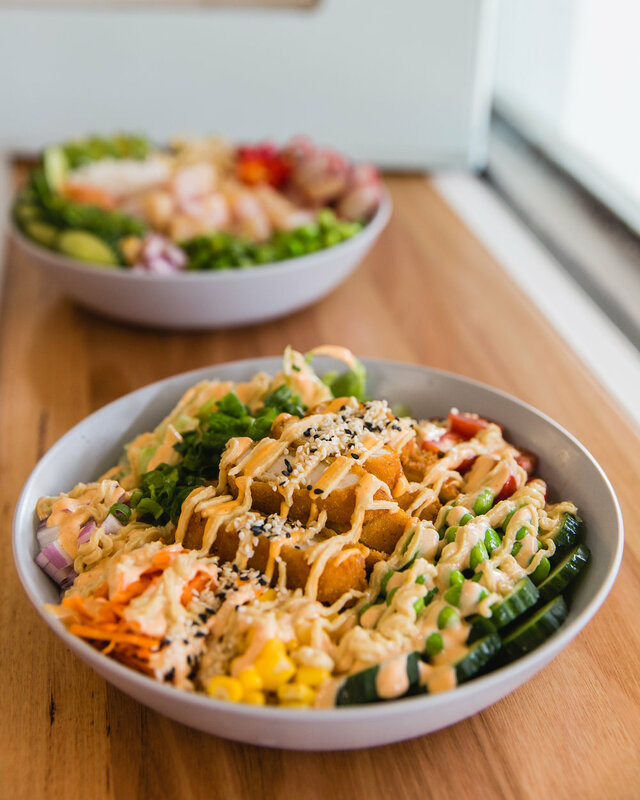 While they're famous for their poke, Lulu’s also have a diverse selection of cafe-style items including acai bowls, pancakes, as well as classic eggs and avo on toast. Lulu’s buzzes from morning to afternoon, with locals pouring in and out. Coffees in hand, they bustle back to work. I am by no means a coffee snob, but I know a good coffee when I taste one. Lulu’s coffee blend was nothing short of perfection and I found myself ordering two during my stay. Now, onto the food. I chose both the blueberry pancakes and an acai bowl because - treat yo’self. The pancake stack was topped with strawberries, dried raspberries, pistachios, matcha green tea ice-cream, lemon butter, pistachio floss, and maple syrup…are you salivating? Trust me, it tasted as good as it sounds. Also - is there anything better than ‘healthy’ ice cream at 10am? I don’t think so. Shake yo’ booty into Lulu’s!